According to the Asthma and Allergy Foundation of America (AAFA), the number of people living in the United States who suffer from allergies and asthma has doubled over the last 20 years. Last year alone, there were over 2 million emergency room visits due to asthma and allergy attacks. In an effort to bring attention to numbers that continue to grow and approach epidemic proportions; the White House has designated May as National Asthma and Allergy Awareness Month. The month of May was chosen to raise awareness as it coincides with the peak season and a perilous time for allergy and asthma sufferers. Education is the primary objective of Asthma and Allergy Awareness Month. It is hoped that by educating the public about both chronic health conditions, more action will be taken to prevent symptoms and improve the quality of life of those affected. Prevention and awareness are the best defenses against asthma or allergy symptoms. The first step in preventing symptoms is becoming aware of your triggers, which can be achieved through testing. Dr. Lisa Roth, Allergist and Immunologist at Jamaica Hospital Medical Center, explains, “It is important that you speak to your doctor about receiving allergy tests. Testing can help to determine the cause of your symptoms. Often people purchase over the counter medications to treat symptoms but they may not be treating the correct cause for their discomfort.” Once your triggers are identified you can learn how to lessen their effects and seek proper treatment. Wash linens and clothing frequently. To schedule appointment with an allergist at Jamaica Hospital Medical Center, please call 718-206-6742. It is estimated that 30 percent of Americans suffer from allergies. 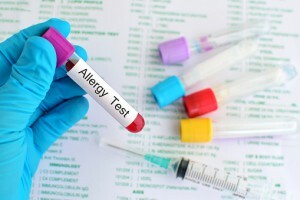 Historically, allergy testing was performed by specialists in the field of Allergy and Immunology. Often times this involved performing skin tests and then monitoring the results. Now this whole process can be performed by a physician through a simple blood serum test and Jamaica Hospital is now one of the few hospitals in New York that is offering this new and exciting technology. 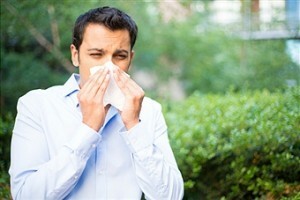 Often times, allergy symptoms are similar to other health conditions such as colds and sinus infections. 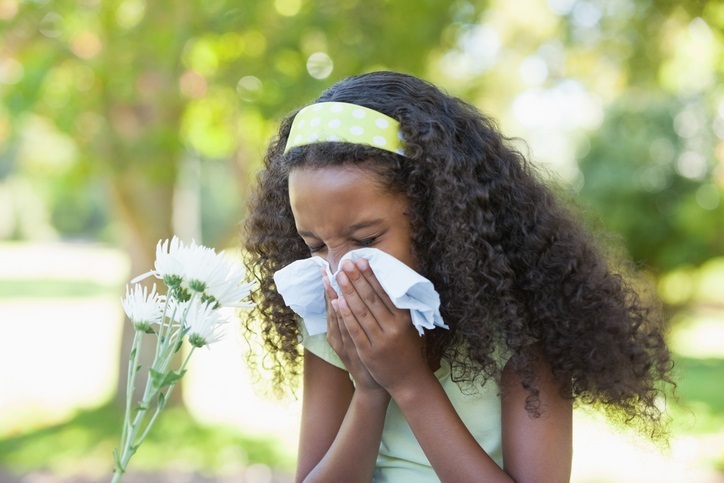 Allergies typically do not cause fever but they can cause itchiness, eye discomfort and a runny nose. It is important to determine what the cause of these symptoms is before treating the symptoms. People tend to purchase medications over the counter to treat their symptoms, but they may not be treating the correct cause of their discomfort. With the new technology and equipment that is available at Jamaica Hospital, testing of a small sample of blood serum IgE, can determine if a person is allergic to any of the hundreds of known allergens. This quick testing will help to determine wat course of treatment should be started on. Another advantage of this testing is that it can be ordered by any physician. A correct diagnosis leads to a more accurate treatment plan. Though allergic reactions have been documented in ancient Greek and Roman history, the modern era of the study of allergies really began in the 1800’s when hay fever was described by Dr. John Bostock in 1819. This continues to be one of the most common allergic reactions, affecting approximately 15 million people in the United States. In 1869 the first skin test for allergies was described when a scientist placed pollen into a small cut in the skin and watched for a reaction. The concept of immunotherapy, which is building up the immune system through the administration of injections to help people cope with their allergies, was introduced in 1914. Antihistamines, medications that would help the body respond better to allergic reactions became more widely used in the late 1930’s. They helped by lessening the body’s reaction to allergens. In 1948 corticosteroids were first used to treat asthma and allergic reactions. They worked on reducing the inflammation that would be caused by the allergens. The discovery of mast cells in 1953 helped to identify what caused allergies to set off the immune response of the body. In 1963 IgE antibodies were discovered and this further helped to identify what set into motion the chain reaction within the body leading to the release of histamine and allergic reactions. Professor Samuelson won the Nobel Prize in Medicine and Physiology in the early 1980’s for his work with leukotrines which cause asthma allergy and inflammatory responses to foreign substances. 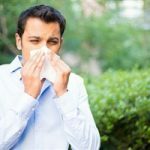 In present day, there are several methods used to test for allergies and various treatment options are available to minimize a person’s reactions to allergens. These developments have been made possible due to research and discoveries over the years. Eczema is a condition that causes patches of skin to become red, inflamed, rough and itchy. Eczema is not a specific health condition; it is a reaction pattern that the skin produces as a result of a number of different diseases. The specific causes of eczema currently remain unknown, but it is believed to develop due to a combination of hereditary (genetic) and environmental factors. Since there is no cure for eczema, treatment for the condition is aimed toward healing the affected skin in an effort to prevent a flare up of symptoms. For some people, eczema goes away over time, and for others, it remains a lifelong condition. Medication can also be helpful in treating or preventing symptoms. These treatments are prescribed by a physician. If you are experiencing symptoms of eczema and would like to speak with a physician, call Jamaica Hospital Medical Center’s Ambulatory Care Center at 718-206-7001, to schedule an appointment. Are Allergy Shots an Option for You? 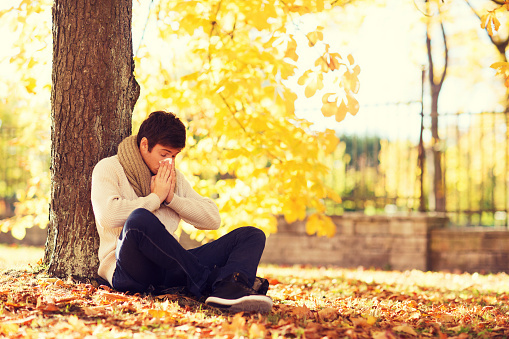 Do you suffer with seasonal allergies and over the counter medications have not helped? Allergy shots may be an option when all other treatment methods have failed. Allergy shots, also known as immunotherapy, are injections given at regular intervals to allergy sufferers over three to five years to stop or reduce the symptoms associated with an allergy attack. Each shot contains a tiny amount of the allergens that trigger an attack; just enough to spark the immune system, but not enough to cause a reaction. Over time, doctors will increase the amount of allergens as your system builds up a tolerance to them and becomes desensitized to their effects. Allergy shots should be considered if medications to treat your allergies are ineffective, if allergy medications poorly interact with other medications you are taking, if allergy medications cause bothersome side effects, or if you want to reduce the long-term use of allergy medications. Unfortunately, allergy shots cannot treat food allergies. Before you can even consider receiving an allergy shot your doctor must perform a skin test to determine what you are allergic to. During a skin test, a small amount of multiple allergens are scratched into your skin and the area (usually the back) is observed for 15 minutes. Redness or swelling will occur on whatever substances you are allergic to. Once identified, allergy shots are injected regularly during two different phases of treatment. • The build-up phase –Typically shots are given one to three times a week over three to six months. During the buildup phase, the allergen dose is gradually increased with each shot. • The maintenance – This phase generally continues for three to five years or longer with maintenance injections administered approximately once a month. You will need to remain in the doctor’s office for 30 minutes after each shot, in case you have a reaction, which can include local redness or swelling, sneezing, or nasal congestion. In rare cases, allergy shots can result in low blood pressure or difficulty breathing. Allergy symptoms won’t stop overnight. They usually improve during the first year of treatment, but the most noticeable improvement often happens during the second year. 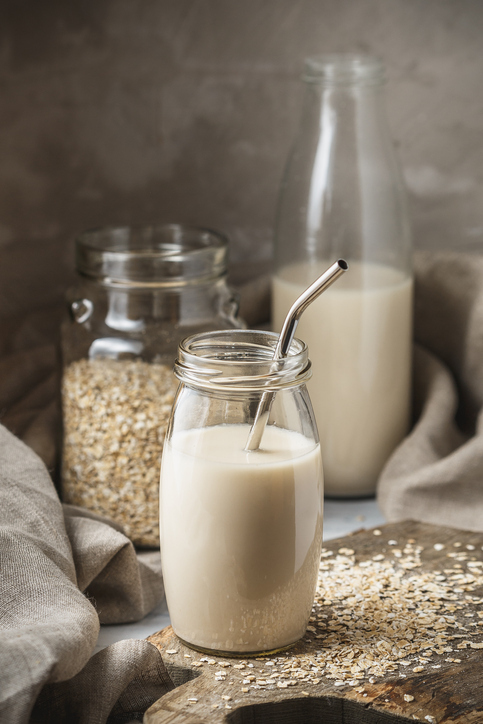 By the third year, most people are desensitized to the allergens contained in the shots — and no longer have significant allergic reactions to those substances. After a few years of successful treatment, some people don’t have significant allergy problems even after allergy shots are stopped. Other people need ongoing shots to keep symptoms under control. Speak with your doctor to determine if allergy shots are an option for you. If you do not have a doctor, Jamaica Hospital has an allergy clinic. For more information or to schedule an appointment, please call 718-206-7001. Are Allergies Controlling Your Life? In some parts of the country, spring allergy season starts as early as February and can last through the summer months. Tree pollen is the first sign of allergy season’s arrival and continues to cause allergy symptoms throughout March and April. Tree pollen and grass pollen are one in the same, beginning in late spring and continuing into early summer. Allergies are the result of an over-reactive immune system. When allergies occur, the immune system mistakenly identifies an allergen such as pollen, pet dander, mold, and dust mites as an “invader.” As a reaction, the body mounts an inappropriate immune response. 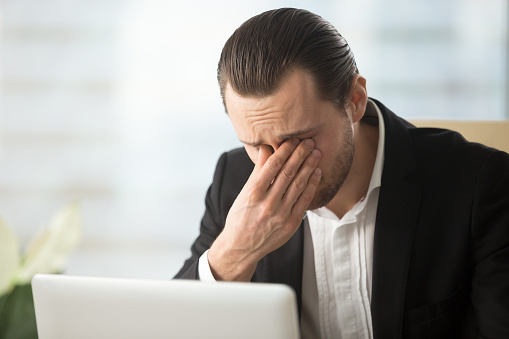 To get rid of the “invader,” the immune response triggers a response that results in you experiencing typical allergy symptoms like, sneezing, runny nose, and itchy, watery eyes. When you come home from the outside, taking your shoes off at the door lessens the amount of pollen you track into the house. Wipe down your dog’s coat before he comes into the house, too, because pollen clings to fur. You can bring pollen into your home on your clothes and shoes even if you can’t see it. Toss soiled clothes in the hamper immediately; even better, take a shower. Change them at the intervals recommended by the manufacturer, or more frequently if it seems to help. Open windows can be refreshing, but they let in pollen. 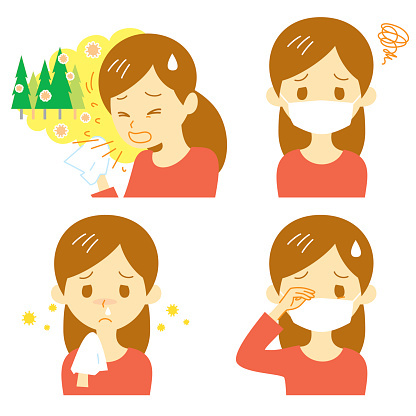 Close windows and outside doors, especially on high-pollen days, and turn on the heat or the air-conditioning. Take allergy medicine at night. If your doctor suggests or prescribes allergy medicine try taking them at night. Typically, allergy symptoms tend to be at their worst in the morning. There are many popular methods of treatment. They work in different ways, but some are more effective than others. Before making any changes in your allergy treatment options speak with your doctor first. Jamaica Hospital’s Division of Allergy and Immunology has qualified doctors available to diagnose and treat your allergy symptoms. To make an appointment, please call 718-206-7001.